And a Cumbrian chef said he believed one traditional Cumbrian Christmas recipe might have been brought back to the county by pilgrims returning from the Crusades in the Middle Ages. We'll do it all again from 08:00 tomorrow. 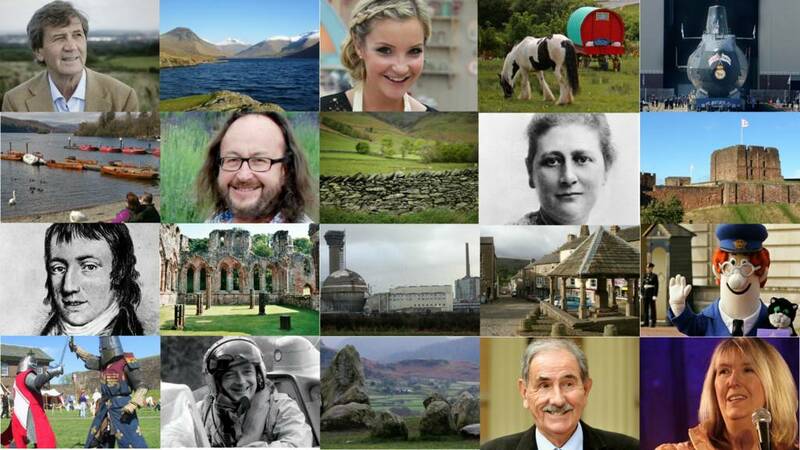 If you want to pass on news you think we should know, or share a photo with the county, you canemail them to us,send them using Twitter where we're @BBC_Cumbriaorhead to our Facebook page. Cumbria Police have renewed warnings about a telephone scam where the caller claims to be from the tax authorities at HM Revenue and Customs and requests payment of a tax bill in iTunes vouchers. Officers say that in the latest incident a woman from the Millom area paid more than £597. Police also asked retailers to check if asked for a high value in iTunes vouchers by a customer. “The HMRC website states they would never use these methods to tell you about a tax rebate, a penalty or even to get personal payment information, and they would not request overdue tax to be paid in iTunes vouchers or similar." A pile-up involving a number of vehicles has blocked the A69 eastbound at Haydon Bridge, just past the A686 junction. Fog will probably quickly form this evening, becoming quite extensive, but likely to be replaced by low cloud, fresher winds and patchy drizzle by morning. There's the chance of a frost in some sheltered eastern parts, where temperatures will fall to 0C (32F). LinkYou can find the latest BBC weather forecast for where you are here. The Hoad is the Sir John Barrow monument above Ulverston, in the shape of a lighthouse and it is normally floodlit in the traditional way. This Christmas, the light is being changed for a purpose. A new system where bank staff alert police if a customer asks to make an unusual transaction has prevented frauds that would have cost people in Cumbria £50,000. The Banking Protocol means counter staff are trained to recognise which a customer might be being coerced or tricked and police can attend immediately. As well as national banks, institutions like the Cumberland Building Society are signed up and since the system started in July, seven people have been arrested and police believe £49,000 in fraud has been prevented. It’s by working together with law enforcement, and others, that we can make a real difference when it matters most." A community group set up by two parents in Kendal wants to set up an indoor play area in the town. At least two small business providing soft play or ball pools for pre-school and primary age children have tried but closed. South Lakeland council's leader, Giles Archibald, says he's happy to give the project as much help and advice as possible. There is nowhere that is informal, continuous through the day and easy to access." Our first step is to get the right premises and pull together a group of volunteers who are committed to making this work. It wouldn’t be about making profits, it would be about delivering a facility which this area desperately needs." A Cumbrian Christmas food dating from the 18th century was probably influenced by people returning to the county after taking part in the Crusades, according to a food historian. Ivan Day from Shap says a recipe for Christmas Pottage, a sort of beef soup with sweet ingredients like dates and other dried fruit, was written down at Newbiggin Hall in 1720. He says it was probably created after soldiers returned to Cumbria after spending time in the Middle East. A one-vehicle accident on the roundabout where the A65 meets the A590 and the A6070 is causing queues. Trains adapted so they can use overhead electric cables and run under their own power on diesel engines are now being tested before they start on the Lakes line between Oxenholme and Windermere from next May. The 30-year-old trains have spent their lives so far working in the South England, but need the diesel power adding on because plans to electrify the Cumbrian line were scrapped to save money in July. Both the Cumbrian teams in the FA Trophy Second Round draw will have to await the results of replays to know who they face. Workington will have to travel to either Chesham or Weston, while Barrow will visit either Braintree or Brackley. A man who assaulted his partner twice in a month and then threatened to cut his own throat in a stand-off with police has been jailed at Carlisle Crown Court. Suart Barwise, 33, of no fixed address, admitted assaulting Katie Murray twice during October, once causing actual bodily harm and assaulting a police officer. The court was told Barwise had expressed regret for the offences, but Recorder Julie Clemitson sentenced him to 22 months in prison. A food historian from Shap, Ivan Day, has been checking through old recipe books for some recipes dating back before the days of turkey and Brussels sprouts. Some of the recipes were brought back by soldiers who'd fought in the Crusades, others by the need to preserve food in the days before refrigeration. In this house in Seaton more than 50 years ago, a man died in a crime that would end with the last judicial hangings in Britain. Even today, the sentence remains controversial, as you can read in a special BBC report here. More Syrian refugees are expected to come to Cumbria in the new year and Cumbria County Council staff say those who have already made a home here are settling in well. The county has promised to accept 285 as part of the government's resettlement programmeand 65 have already settled in. Rob Cartner says they're learning to speak English and some have got jobs. We have education for the adults, eight hours a week and that's minimum, and they're all engaging in that and enjoying it, but the kids, because they're in school and living the experience with other kids, they're loving it." Carlisle United manager Keith Curle says the January transfer window will be "crucial" in United's fight to win promotion from League Two. His side were beaten 2-1 at home by struggling Port Vale at the weekend and Curle says new players are needed. We need better, we need to improve, we need to go back to the demand that are put on the players, today's performance and result is not what we're after." The A6 between Carlisle and Penrith has been closed after a crash at High Hesket. Traffic is heavy and the Stagecoach 104 service is also delayed. A6 Cumbria both ways severe accident, between Calthwaite Turn Off and B6413. A6 Cumbria - A6 in High Hesket partially blocked and heavy traffic in both directions between the Calthwaite Turn Off junction and the B6413 junction, because of an accident. Police say the roads have been icy again in Cumbria this morning. This afternoon will remain dry and bright across Cumbria, with plenty of sunshine which may turn a little hazy at times. It'll be milder, with temperatures in places up to 7C (45F).